A new tool has arrived to help business owners in reducing their Commercial Auto exposure risk. A basic for any driver is to have a valid license. Privacy laws and a very cumbersome Registry of Motor Vehicles inquiry system have been hurdles for business owners trying to carefully monitor their employees that drive as part of their job. To help achieve the goal of having a safe driving workforce, the Massachusetts Registry of Motor Vehicles has introduced the Driver Verification System (DVS). The DVS allows a business to track changes to the license statuses of the business’s employees/drivers. Once a business has signed up for this no-cost program, the DVS will email the business owner a notification from the Mass DOT’s Registry of Motor Vehicles when there is a change in an employee’s license status such as the license being expired, suspended or revoked. When an employee drives as part of their job, they may not inform the employer of a loss of license. The employer may learn of the lack of a valid license after a significant loss. The DVS puts the employer in the position of catching this situation immediately. When notified, the business owner logs into their DVS account to view the driver/s that have a status change. The employer immediately is able to address the situation with the employee and take corrective action to protect the financial and reputational well-being of the business or organization. Writing a letter on your business letterhead stating your business need for using the DVS Program. This need can be stated as the business’s desire to have another risk management tool to make sure the business is operating in the safest manner for the public’s benefit. Commercial Auto is a significant risk to all organizations that use either the organization’s autos or the employees’ personal vehicles. In either case, the employer will be named in a suit if there is bodily injury and/or property damage to others if the loss occurred in the scope of the employer’s business activity, be it a delivery or a sales call. With the advent of this tool, it would be understandable that the courts and juries will expect all employers to know their driving employees have a valid driver’s license. Therefore, implementing the DVS is recommended. Ordering a personal driving record for each driver annually. Implementing GPS tracking on company vehicles. Utilizing a GPS has been shown to reduce auto loss significantly as well as moon lighting and fuel savings. Distributing a company Driver Policy / Letter to all new employees and all employees annually. The policy will spell out the organization’s expectations for driving activity. 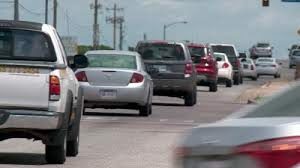 Creating a file for each driver that contains an annual driving policy letter, a copy of the driver personal record, a copy of the employee’s personal auto coverage selection page, any Incident Reports, and any disciplinary actions taken to improve the driver’s attention to safe driving. Implementing an Accident Investigation Program to learn from each loss and to avoid repeating the loss in the future. Implementing Driver Training for all new employees as well as an annual update for all employees. Implementing a Vehicle Inspection Program where employees take the responsibility for periodically checking Tires, Wipers, Lights, etc. and documenting that they did so. The auto loss exposure is prone both to frequency and severity. Time spent on the above risk management techniques can help reduce the odds of a loss or even the size of a loss. These efforts will pay dividends in low insurance premiums due to lower losses. For assistance with any of the above please contact us. To begin the process of implementing a DVS, please go to: http://atlas.massrmv.com/DriverVerificationSystem.aspx. Completed documentation and questions can be directed to Kristen.hagan@state.ma.us. Employers may sponsor wellness programs as a means to promote better health and higher morale among employees, with the hope that helping employees to embrace a culture of health will lead to higher productivity with lower health-related costs. Tobacco cessation, exercise, weight management, or other behavior modification programs. High blood pressure or cholesterol screenings. 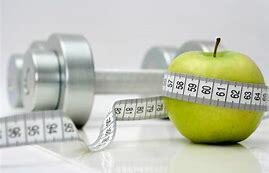 While participation in wellness programs is voluntary, employers may offer incentives for participation or even disincentives for nonparticipation. While employers are searching for definitive methods to establish return on investment (ROI) for dollars spent on wellness programs, development of financial measurement tools for wellness ROI is not yet mature. Still, it is logical for employers in the United States to seek financial advantages from promoting a culture of health in an environment where the onset of chronic disease is shifting to people of younger age who, prior to becoming eligible for Medicare, are most frequently covered under health plans paid for by employers. Advantages for both employers and employees arise when employers seize the opportunity to use their access to employees as an opportunity to provide education and facilitate changes leading to an increase in emotional well-being and reduced risk of illness. According to the U.S. Centers for Disease Control and Prevention, chronic diseases are the leading causes of death and disability in the United States. Among the most common, manageable or preventable chronic diseases are diabetes, heart disease, stroke, arthritis, and cancer. Obesity is also an urgent health concern, affecting as many as one in three adults and one in five children. Rising rates of obesity are leading to more diabetes and heart disease. Reducing the prevalence or severity of these diseases and conditions can reduce the emotional stress experienced by individuals, empowering them to focus more on productive work-related activities. Additionally, preventing or delaying the onset of diseases will likely correlate to less demand for employers to pay for expensive hospitalization and fewer treatments with costly specialty pharmaceutical medications. To appreciate the potential financial savings possible through the prevention or delay in onset of disease, it is important for employers to understand how small percentages of high-utilization participants in health plans may drive much of the cost. In general, 20 percent of a health plan’s population drives 80 percent of cost for all medical and prescription claims paid in a plan year. Often, just 5 percent of a health plan’s population in a given year will be high-cost claimants accounting for approximately half of all paid claims. Such individual high-cost claimants increasingly include inpatient hospital treatment and pharmaceutical claims costing in excess of $500,000 for a single claimant’s course of care. For example, a claimant could cost more than $600,000 annually for treatment of diabetes that has advanced to end stage renal disease requiring kidney dialysis. Similar costs are associated with other diseases moving from chronic to acute stages. On the other hand, $600,000 could be more than it would cost in a year for an employer-sponsored plan with 1,000 enrolled employees to pay for all employees plus dependents to have annual preventative physical examinations performed by their primary care physicians. When average coverage for an employee plus family enrolled in a plan costs over $16,800 per year, it can be frustrating for the employer to realize that there will not be significant, immediate discounts in return for providing wellness benefits. However, it takes premium payments from a pool of many members to offset the claims paid for just one high-cost claimant. The financial rewards associated with the successful movement of a pool of insured members into a culture of health are likely to be more prevalent over the long term. Efforts directly promoting healthy behaviors can change the trajectory of employees’ long term health. Employers with low turnover and high average tenure of employees may be in the best position to reap the financial benefits of effective wellness programs targeting reduction in illness risks. However, all employers have the potential to benefit from the coordination of wellness initiatives with existing workplace safety initiatives and performance improvement plans. Workers’ compensation, disability benefits, and paid sick leave expenses all have the potential to be reduced as employee performance increases in an improving culture of health. If you would like more information please contact Cleary Insurance, Inc. at 617-723-0700.